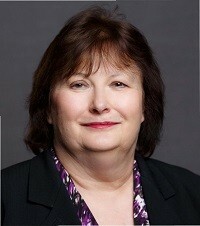 Dr. Dianne Petrone earned her medical degree from West Virginia University. She later completed her Internal Medicine residency at Hartford Hospital in Connecticut, and her rheumatology fellowship at Georgetown University Medical Center and the Washington VA Medical Center. Following her Rheumatology fellowship, she served as a Rheumatologist at Malcolm Grow U.S. Air Force Medical Center in Maryland. Dr Petrone is active in several professional organizations. She is on the Board of Directors of the Association of Women in Rheumatology (AWIR) and serves as co-director for the local Dallas AWIR Chapter. She has been recognized annually in Texas Monthly’s Super Doctors since 2004, and in D Magazine’s Best Doctors since 2002, for all but 2 years. She currently practices rheumatology at the Arthritis Centers of Texas. Her passion is caring for patients with rheumatic diseases which brings her immense joy and satisfaction. She strives to provide comprehensive care that is state-of-the-art yet personalized and compassionate. She is also very involved in clinical research, and enjoys teaching residents and other health care professionals. She is an Attending Physician at Baylor University Medical Center in Dallas. Dr. Petrone is very appreciative and takes great pride in being named a 2018 Medical Honoree for the Walk to Cure Arthritis, and will use it as an avenue to spread awareness and educate on arthritis. 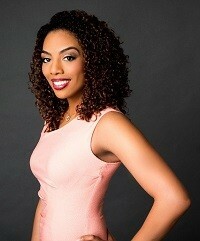 Alisha Laventure anchors News 8 Midday and News 8 at 4pm and solo anchors News 8 Midday at 12pm. She joined WFAA in July 2016 as News 8 Daybreak’s weekend morning anchor. Alisha Began her journalism career at CBS Broadcasting Inc. in Manhattan, where she worked as a junior production assistant in affiliate relations. Given her Haitian ethnicity and fluency in Haitian-Creole, she was able to help produce 60 Minutes’, “The Lost Children of Haiti,” following the 2010 earthquake. The piece won an Emmy for Best Report in a News Magazine. In her spare time, Alisha enjoys reading New York Times bestseller, playing marathon games of Scrabble and Monopoly and trying new recipes. (She makes a mean tiramisu!) She also enjoys volunteering with organizations that promote college access and preparedness. At the age of three, Rebecca was diagnosed with juvenile rheumatoid arthritis (JRA), now called juvenile idiopathic arthritis (JIA). 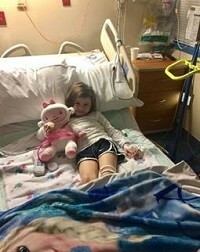 She started having symptoms of the disease around 18 months, but because it is an uncommon childhood disease, her pediatrician wrongly diagnosed it several times and “blew” it off as simple growth stages and pains. Rebecca had a severe case of JIA. EVERY single joint in her body was affected by the disease and she had two large arthritic nodules as well. After finally getting referred to a pediatric rheumatologist at Children’s Hospital in Dallas, who immediately diagnosed her, she has been on a regime of medications designed to manage the disabling effects of JIA. 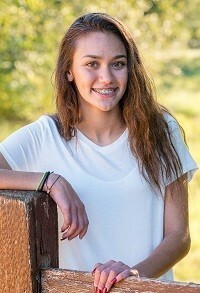 Today, at the age of 14, Rebecca is still fighting this disease with weekly injections of medications and taking daily prescribed pain meds to ward off the debilitating pain. Because this is considered an “invisible disease”, some days you would never know that Rebecca is a child coping with this painful and crippling disease. She tries as much as possible to live a normal and active life. There is not a cure for rheumatoid arthritis, Rebecca’s progress has only been possible through continued research and development by The Arthritis Foundation leading to medications and therapies that will make a difference to her and other children afflicted with JIA or, better yet, lead to a cure. We have been told Rebecca will be on medications for this disease her whole life. Our hope is to find a cure. Jayda is a strong warrior and let me tell you why. She was diagnosed with juvenile arthritis last winter. Yes, that’s right! Kid’s get arthritis too. It all started when she fell on the playground. Her mom Anna was really worried with the amount of pain she was in. Anna went to many doctors and was told many diagnoses. Jayda’s leg was red, hot and swollen. She spent a lot of time in hospitals and in doctor’s offices, she didn’t even get to have a birthday party because she was in the hospital. When Jayda thinks about last winter and spring she gets upset because her arthritis will never go away. She has to take a lot of medicines and has a lot of doctors. The worst part is the weekly shots, they hurt a lot. Last year she also had to quit cheerleading and missed a lot of school because she couldn’t walk, and no one knew what was wrong with her. Her parents never gave up, they kept searching for answers and finally Jayda was diagnosed with JIA. She is a strong 7-year-old and won’t give up this fight. So, say Yes! And help others in finding a cure.